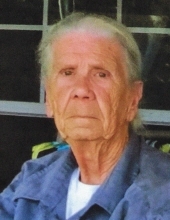 Mrs. Edna Pauline Hargrave Schnitzius, age 93, of Greensburg, passed away on Wednesday Morning at her home in Greensburg. She is survived by 1 son & daughter-in-law: Edward & Anita Schnitzius of Greensburg. The funeral services for Mrs. Edna Pauline Hargrave Schnitzius will be conducted at 1:00 PM Friday at the Cowherd & Parrott Funeral Home, with entombment in the Campbellsville Memorial Gardens Mausoleum. Memorial contributions should be to Hosparus of Green River and can be made at the funeral home.